Fire Note Says: Kim Deal reunites the Last Splash Breeders line-up for another dark ride around her inner world and she’s All Nerve. 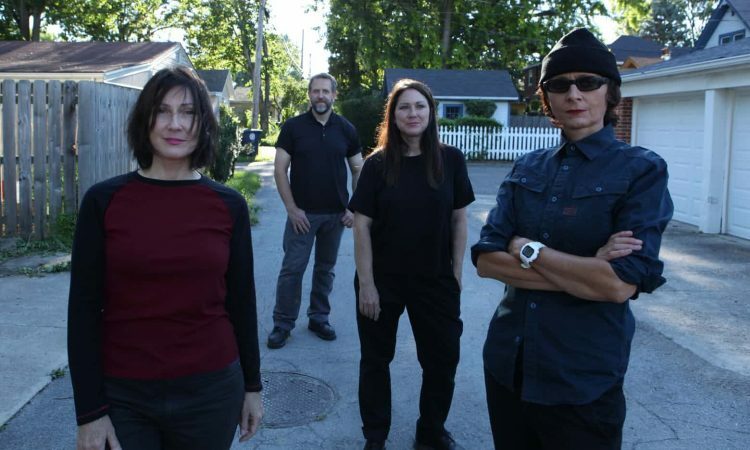 Album Review: In 2013, I had the good fortune to be in Nashville for a conference on a night that coincided with The Breeders’ reunion tour on the 20th Anniversary of their biggest album, Last Splash. It was a great show, made all the more special by the fact that the band seemed to be having a great time playing together – Kim and Kelley Deal playing guitars and sharing vocals, bassist Josephine Wiggs (who also sang some), and drummer Jim Macpherson. There may have been bad blood in the past, and rehab, and whatever, but on their biggest hit, “Cannonball,” and other great songs like “Divine Hammer” and “No Aloha” they rocked with an unchallenged authority. 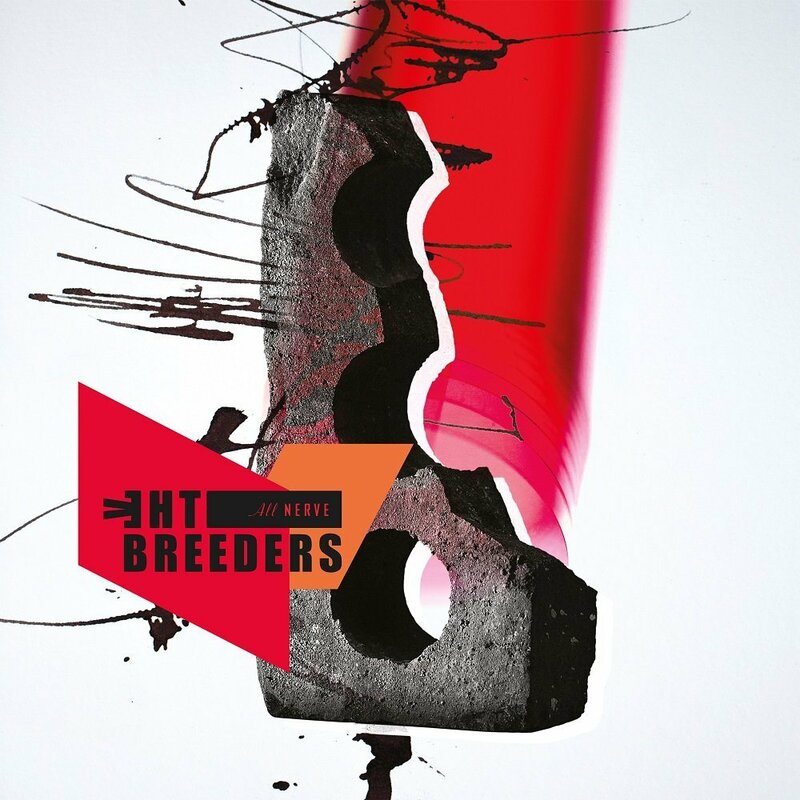 That show rekindled memories of The Breeders in their heyday, playing the Lollapalooza tour in ’94 when the Smashing Pumpkins were headliners, and they opened for Nirvana’s tour that same year. And, of course, this wasn’t her first band. Before forming this band with Throwing Muses’ Tanya Donnelly, she was the bass player for The Pixies, a band celebrated by Kurt Cobain as one of his greatest influences, crediting “Gigantic” as that band’s best song, which was co-written by Deal. Seeing their smiles as they returned for encores that night in Nashville, you could not imagine that they would not come back with another album of new songs. Well, they’ve taken their time, but here, another 5 years later, All Nerve arrives with the signature sound of the two Deal sisters harmony vocals, propulsive rhythms, dead pan lyrics, and atmospheric guitars. The emotional tone is dark, lonely and anxious, the songs often brief and to the point, the sound a mix of post-punk’s brooding dissonance and alt rock accessibility. The record opens with “Nervous Mary” and the inner thoughts of a paranoid woman who warns that we should “run for your life,” but it’s never clear if in fact she is being chased and will “never get away.” That tension is also present in “Wait in the Car,” which opens with the bold announcement “Good Morning!” but it’s the cry of a child who’s Mother “wants to keep me down.” “Spacewoman,” which is drifts sonically, is the story of a lonely woman looking up at what might be an astronaut in the international space station, which she compares to a beach ball being hit around by a crowd at a baseball stadium. Musically, The Breeders maintain their distinct sound, although they often sound looser and less focused than in the past. The back side of the record is pretty low key, with the exception of the cover of “Archangel’s Thunderbird,” a pretty rocking cover of the Amon Duul II song. “Skinhead #2” and “”Metagoth” benefit from co-writer Wigg’s bassline, and she sings the second number. “Howl at the Summit” benefits from additional vocals from Courtney Barnett and her crew. For us Dayton Ohio fans, one might wonder how much of Kim Deal’s songs and mind is shaped by her home town, and in “Walking With a Killer,” we get at least one clear local reference, when she speaks of walking “through the cornfields of East 35.” So, we take what we can get, and with All Nerve we get the Breeders back and in solid form.